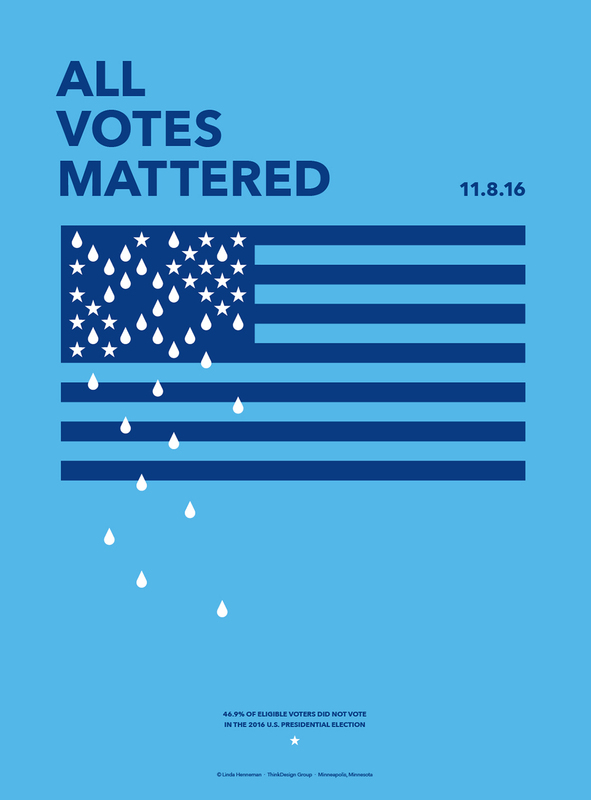 Emotions are raw after the recent U.S. election—and learning that 46.9% of eligible voters did not vote is so disappointing. Voter turnout is a serious issue in this country, and eligible voters need to take that responsibility seriously. The fact that votes are weighted differently due to the Electoral College just adds to the problem. Really, all votes do matter. Blue state stars, red state tears.